The Item Count function within InOrder may be used for period inventory counting, as well as continued inventory counting. For example, after daily warehouse activities (such as picking, packing, putaway, etc.) have been completed, the Warehouse Manager may generate a Daily Physical Count report to generate Inventory Tags for each RF user to complete that day. InOrder RF allows RF personnel to complete item count tasks that have been assigned to them. The barcode of the bin is first scanned, then the barcode of the item is scanned and the quantity is entered. Item count tasks are generated via the Daily Physical Count report, which assigns inventory tags to RF users. Assigned tags are displayed on the InOrder [Inventory Tags] window. Unassigned items may also be counted manually. 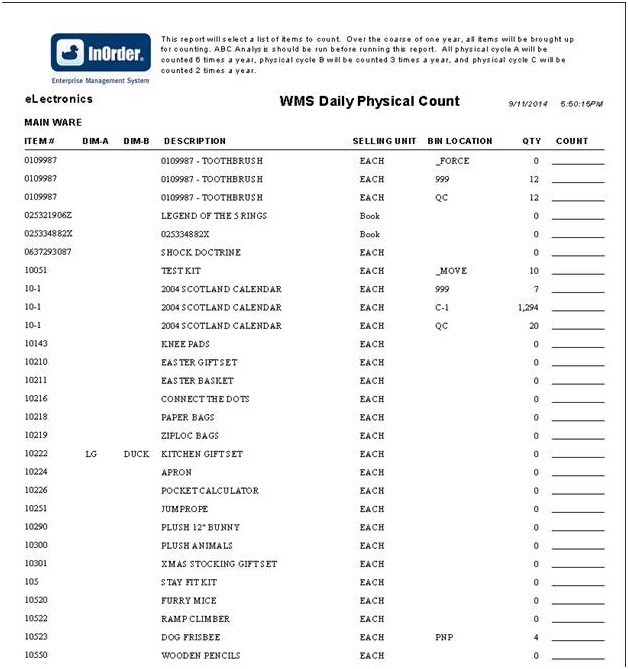 The Daily Physical Count report template supports the Item Count function. 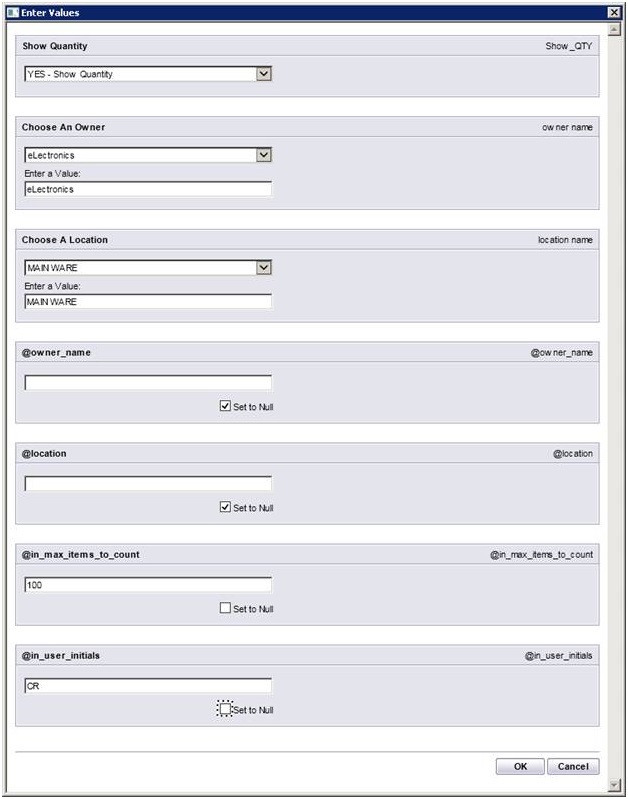 New parameters include the maximum number of items to count and the initials of the user who will be counting. or send email to support@morsedata.com. recently performed an annual software audit at Rod’s Western Palace. Rod’s Western Palace went live with InOrder in 2012. 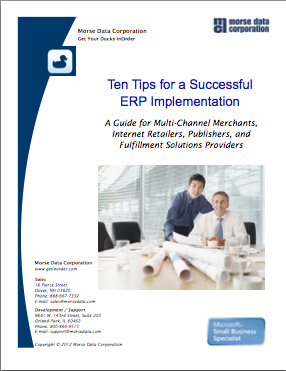 Rod’s relies on InOrder for inventory control, warehouse control, multi-channel order management including Point of Sale at several locations, Gift Cards, and InOrder’s PA-DSS certification to support their PCI DSS compliance. 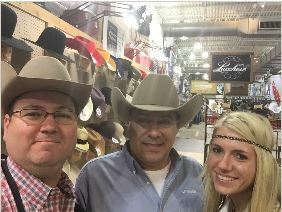 Rod’s Western Palace, located in Columbus, Ohio, is a leading supplier of western apparel and tack. Rod’s boasts 20,000 square feet of retail space, which includes the main store and Rod’s Tack Barn. Even larger than their store is their website and catalog operation. Rod’s Western Palace regularly attends trade shows and events, including the All American Quarter Horse Congress, which is known as “The largest single-breed horse show in the world.” Rod’s is there with InOrder’s Point of Sale to make sure attendees have access to all the western essentials they need during the show. Rod’s is also the official sponsor of Miss Rodeo America for rodeo apparel and accessories, such as belts, hats, boots, and show clothing. 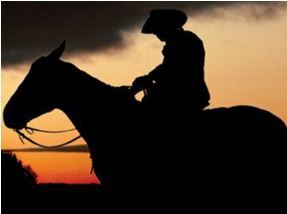 You can read more about Rods Western Palace and browse their great selection of western apparel and tack on their website. In A/R Lookup, select the Reference # option in the Search By box. Enter the check number in the Reference field. All invoices containing that check number are listed in the search results. Today’s Winner Is: 3rd Party Fulfillment Companies! If your company is a 3rdParty Logistics Company (3PL) or a 3rd Party Fulfillment Company (3PF), then you need to do Warehouse Management and Order Fulfillment for each of your clients, and they all have their own unique discounts, charges, and business rules. If you are reading this, then you’ve found the right software to manage this problem! InOrder Software is one database, but it lets you define these rules for each company that you process orders for. With one login, your call center reps, warehouse people, and accountants can view the data from each company that they want to work with. Your clients can also connect to securely view their own data. Just a few of the business rules you can define for each company include shipping methods and shipping rates, customer types with pricing and discount rules for B2B and B2C shipments, taxes, warehouse forms and forms routing, integrated shopping cart websites, EDI rules, promotions, integrated loyalty reward programs and gift card processing, payment rules such as PA DSS certified credit card processing, and even installment plans. Of course, since it is so flexible, there is a lot to learn if you wish to fully take advantage of this. The saying “With great power comes great responsibility” applies here. However, if you are up to this challenge, then the more you learn up front to understand how the rules are defined and what they can be used for, then the more you will be able to take advantage of these virtually endless capabilities.